Pilots, today we celebrate the Cosmonautics Day, the greatest holiday that opened to humanity the way to new horizons and research! In honor of this event, we invite you to take part in our screenshot contest. 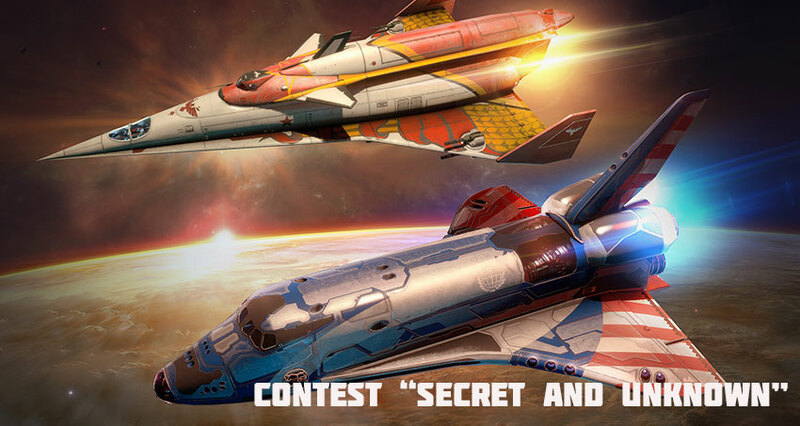 In this contest, you need to make a screenshot, which would most closely match the contest's theme - "Investigation of secret and unknown". And post it to special thread on the forum! The screenshot must be created in the Star Conflict game. Only one screenshot is permitted per participant. Minimal image editing is allowed. The screenshot should not violate the Rules of the Forum and the Game. Post your screenshot to special thread on the forum. Don't forget to specify your nickname. Screenshots are accepted until the April 28. Winners will be announced on April 30th. The authors of the best entries will become the owners of one of the unique patterns to choose from: “Liquid metal”, “Invasion” or “Iceberg”. Traditionally, the entries with the highest number of likes will get the Th'ak'len cannon 11-17!